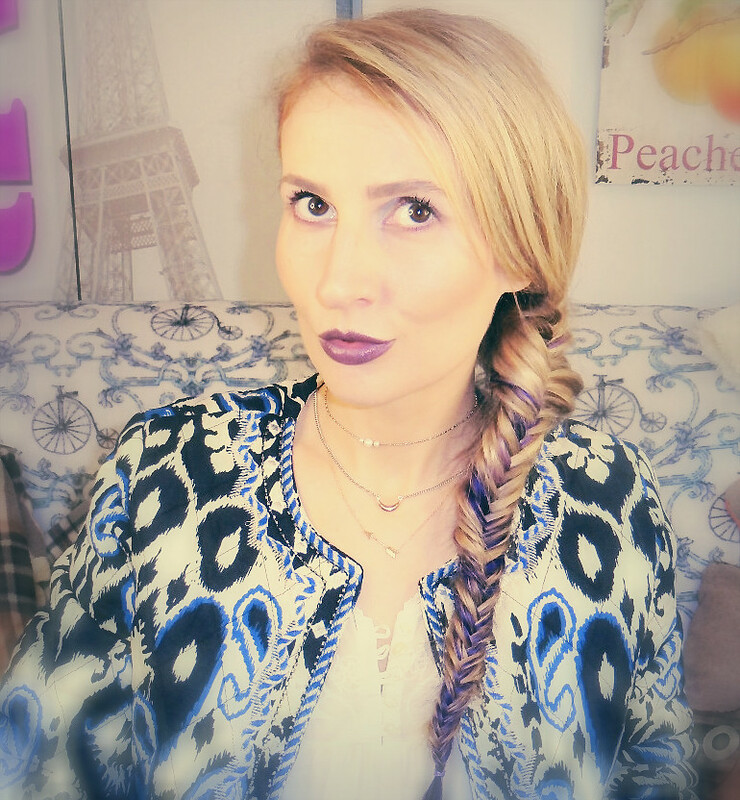 I love to play with clip in hair extensions and create voluminous braids and different, creative hairstyles! 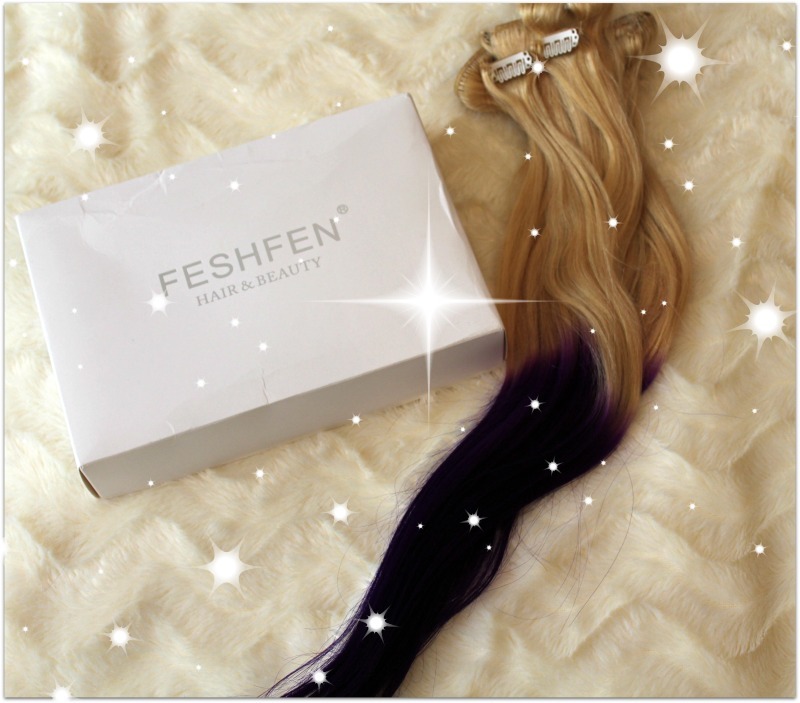 I recently ordered these crazy fun clip in hair extensions (dip dye purple/ blonde hair) from Feshfen and I immediately knew these are going to be perfect to add a bit of dimension to my blonde hair, and to create a very cool, thick fishtail braid! 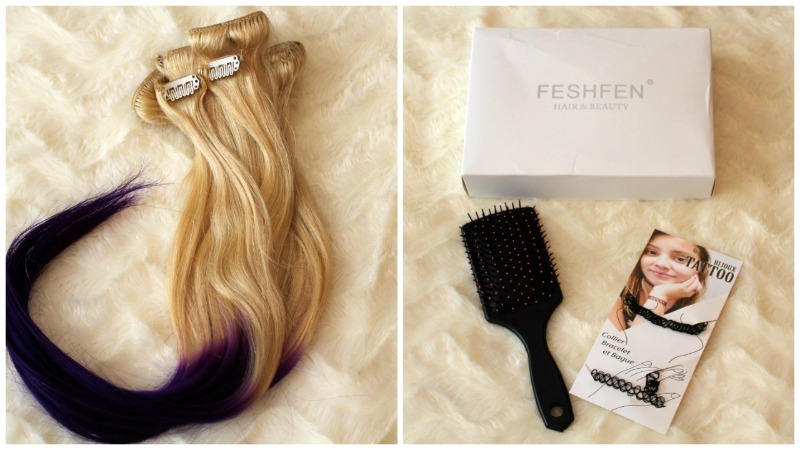 I filmed a video tutorial where I'm sharing with you my thoughts on Feshfen hair extensions (as this is already the second set of clip-ins that I got from them! 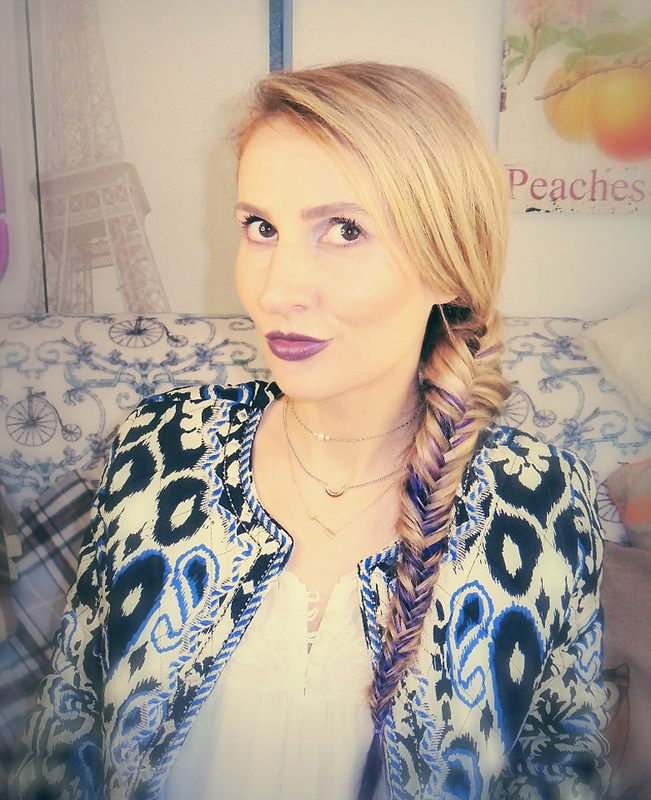 ), and also I'm showing you a hair tutorial, how to quickly create this voluminous fishtail. I love using clip in hair extensions because they're so easy to place in, they blend perfectly with your natural hair, plus they add something new to your look, without that being a permanent change, as you'll quickly remove them from your hair at the end of a day! 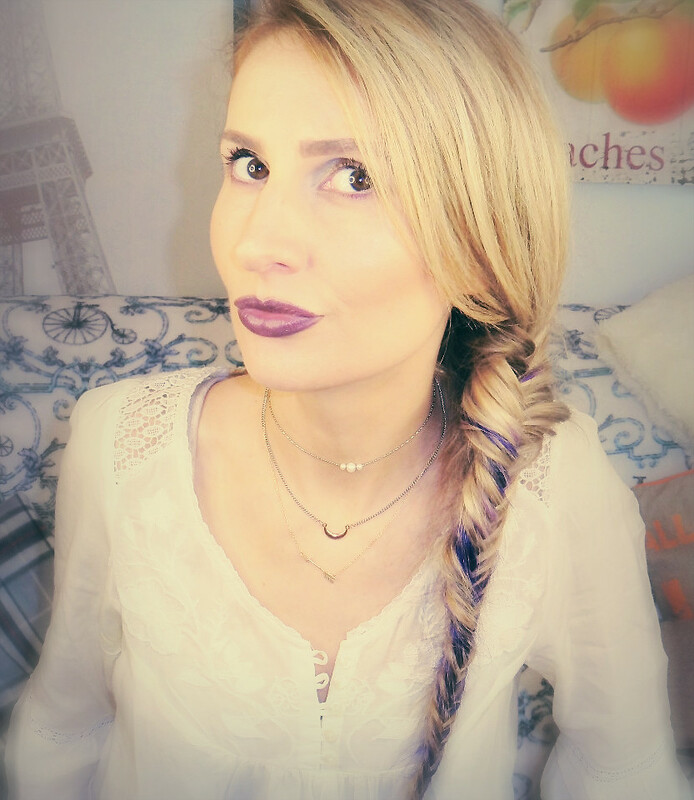 Dip dye/ ombre hair is definitely one of the biggest trends now, but why should you risk damaging your hair by dyeing it, when you can be on trend and still mantain a healthy, beautiful natural hair, thanks to some good clip ins? I received a detangling brush and a set of super trendy tatoo chokers! 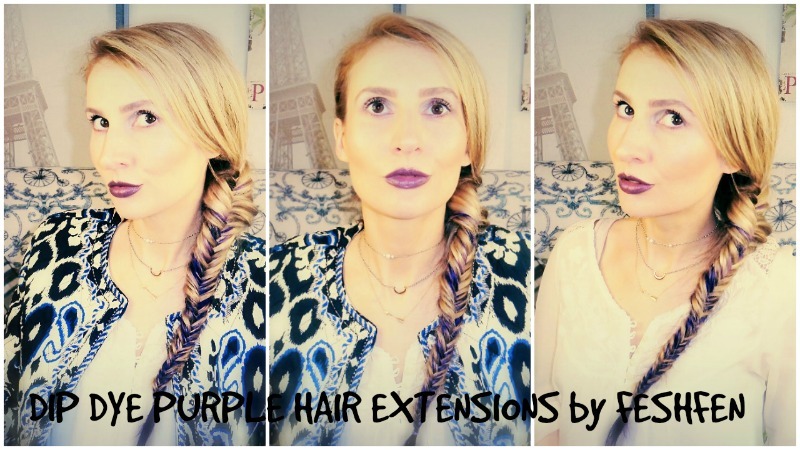 My hair extensions are 22" #T613 purple/ombre straight 100% remy hair and you can get them here! Gorgeous hair, you look great! !